This documentation covers how Upload Actions work. 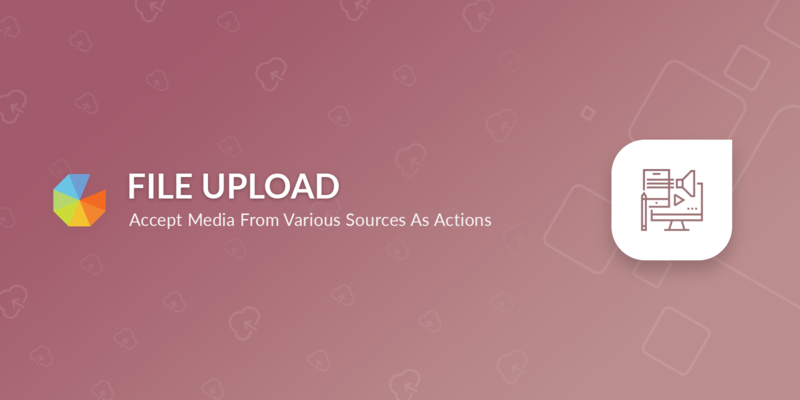 Upload allows you to accept media of various sources for your competitions. Currently you can choose the media types you want to accept and also the file size limit. The Gallery app supports images and videos uploaded from this action type. 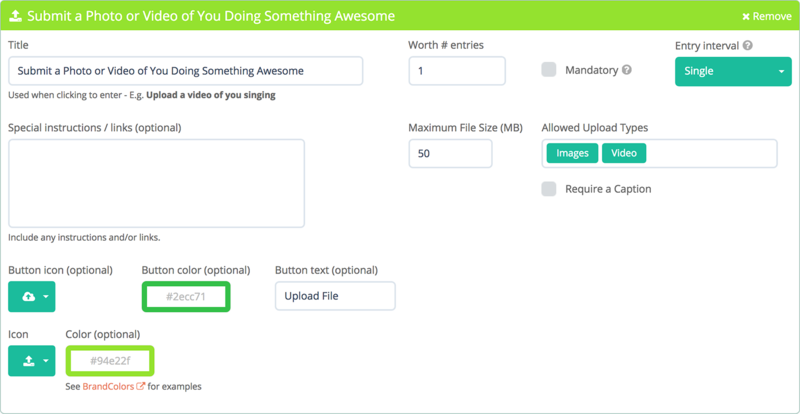 This action automatically prevents users from uploading the same file more than once so you can ensure each upload is unique.